A friend recently mentioned that the Liverpool waterfront, which they can see from their flat window, is on the list of UNESCO World Heritage Sites. This got me thinking, what does it mean to be a World Heritage Site and how many are there? Well it turns out there are 911 World Heritage Sites currently designated as having "outstanding universal value". You can find the complete list here. 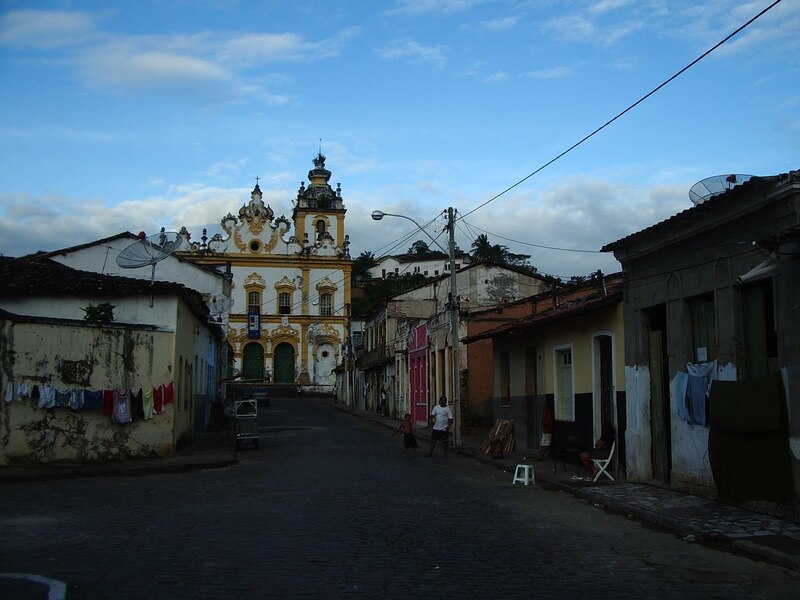 We've visited a wide variety including cities, cultural monuments and areas of exceptional natural significance. All of the photos posted here are from our visits to these sites. The question all of this raises for me, is what does it mean to be of universal cultural importance, when so many of these sites are so culturally specific? The World Heritage list continues to grow and forty two properties are up for consideration at the World Heritage committee meetings in Paris this month. The proposed list makes for fascinating reading and you can see further details here. The sites under current consideration include, "The architectural work of Le Corbusier" and the "Persian Garden". Neither of these sites are bound by a single location. The "Persian Garden" is cited 'in general' rather than a single garden being elevated to World heritage status. Corbusier's work is being considered across a variety of national line. His architectural work is listed as an, "outstanding contribution to the Modern Movement in France, Argentina, Belgium, Germany, Japan and Switzerland", though surprisingly not in India where the U.K paper The Guardian recently noted that, "Le Corbusier's Indian masterpiece Chandigarh is stripped for parts" , perhaps this is where UNESCO's designation is needed? We haven't visited Chandigarh. I would like to see the city, though I must admit an invitation to watch cricket there a few years ago wasn't compelling! However, on the subject of Modernist architectural masterpieces, I couldn't resist including a photo of a city we have seen, Brasilia. Not surprisingly it's already a World Heritage Site. In Fez we saw the impact of UNESCO's funding. The Old City was fantastic, a warren of mud alleyways lined with inward facing riads (traditional houses) built around gorgeous tiled courtyards. The place was full of cosmopolitan foriegners snapping up properties to renovate. A British-Ugandan chap and his Dutch-Moroccan wife told us UNESCO would fund up to thirty percent of approved renovations. They intended to buy as soon as they found a place they liked. With local Fezzes selling to hip, design conscious foreigners the question seemed to be who is UNESCO preserving the city for? 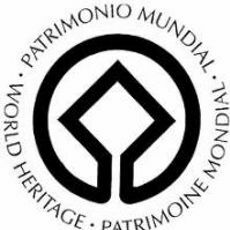 While I was looking at the UNESCO website, I saw that thirty two sites have been designated World Heritage in Danger. 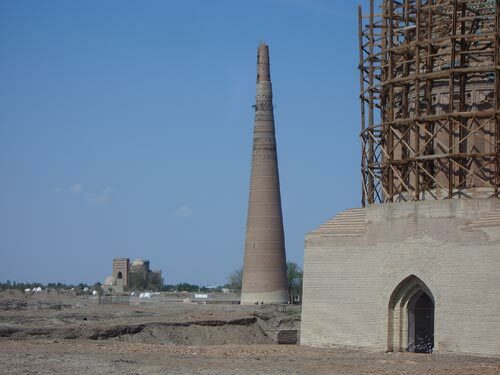 The list included the Bamiyan Valley in Afghanistan where the two Buddha's were destroyed by the Taliban in 2001; and Bam in southern Iran, a magnificent mud city which we visited in 2003, five months before it was destroyed by a devastating earthquake. It's not surprising to see sites in politically unstable countries such as The Democratic Republic of the Congo, Afghanistan and Iraq labeled "in danger". But sites in the western world are not immune from external threat. It was sad to see that the Everglades National Park in Florida was placed on the list in 2010, a direct result of the growing environmental threats to this unique ecosystem. I couldn't resist including this widget with rotating pictures of World Heritage Sites as seen from space! You can see photos and a list of the the 138 World Heritage Sites we've visited, by clicking on the "World Heritage" tab above, or by clicking here. What are the World Heritage Sites you have enjoyed or would recommend? Now you have an opportunity to see them from space!